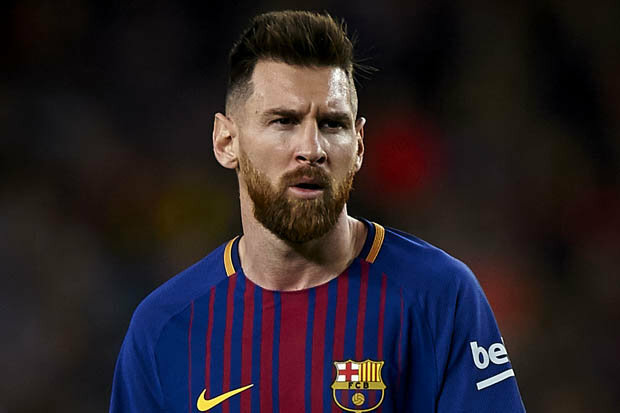 Blaugrana forward Lionel Messi got an injury during the international break, and he could skip the Champions League match against Man United. It is fantastic news for the Red Devils as Argentina international is a crucial figure for the club, and it will be much easier to achieve success in this situation. Messi has an impressive season and proves his worth one more time. Ousmane Dembele and Luis Suarez also have a minor injury which is a big problem for the Catalan club. Lionel spent his years of youth with the Spanish club and amazed everyone with his performances. He is one of the best attackers in the world and unchanged figure for the club. In this campaign, Argentine superstar already played 37 matches, scored 39 goals and made 21 assists in all tournament. It is an excellent result, and he can do much more during this season. The 31-year-old forward has contracted with Barcelona until 2021, and his release clause is nearly €180m. He is a regular member of the national team and also helped them to finish the 2014 World Cup in a second place which is already a significant achievement for the footballer. Blaugrana have a fantastic result in La Liga as they are leading the table and have a big chance to win the tournament one more time. Barcelona also reached the Copa del Rey final, and they have to face Valencia in May. The Catalan club heavily linked with Serbian centre-forward Luka Jovic, Ajax centre-back Matthijs de Ligt, Arsenal defender Nacho Monreal and Celta de Vigo striker Maximiliano Gomez.